McLaren? Porsche? Ferrari? 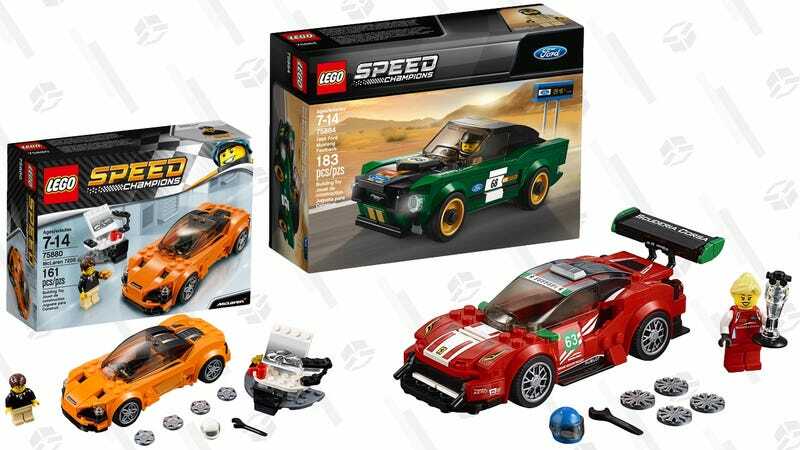 Take Your Pick of LEGO Speed Champion Sets For $12. LEGO’s Speed Champions car sets aren’t as accurate as die cast models, but they’re a lot more fun to build, and a lot cheaper too. Normally $15 per car, Walmart’s marking a bunch down to $12. Will you get a McLaren? A ‘68 Mustang? A...Ford Fiesta? Why not buy them all?